If the clutter of the charging cables of your gadgets is hampering your work flow on your workstation, Griffin has come up with a compact docking station that nestles all your iOS gadgets elegantly to juice them from a single power outlet. 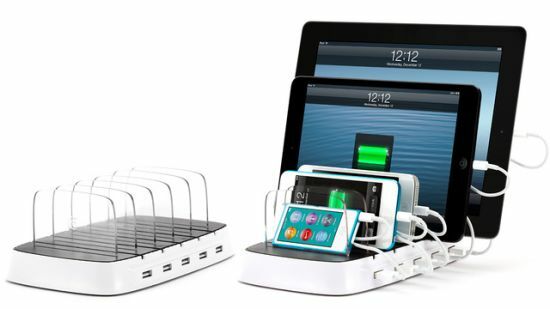 Hailed as “PowerDock 5,” the compact charging station as the name suggests can dock at least five tablets (or a mix of gadgets) to charge them simultaneously while removing the clutter of wires away from your workspace or side table. 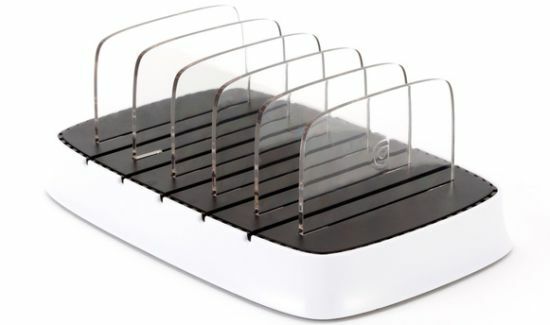 Offering a separate charging port to each gadget, the power dock offers ample space to charge the tablet lying within the protection case to eliminate scratches. As soon as the status light illuminates, you can dock your gadgets with USB ports for charging. 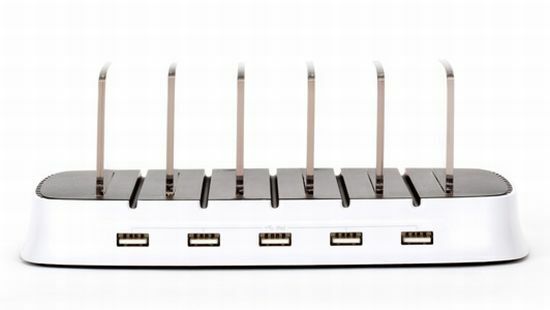 Compatible with all Apple mobile devices, the PowerDock 5 will be available by this spring for $100.